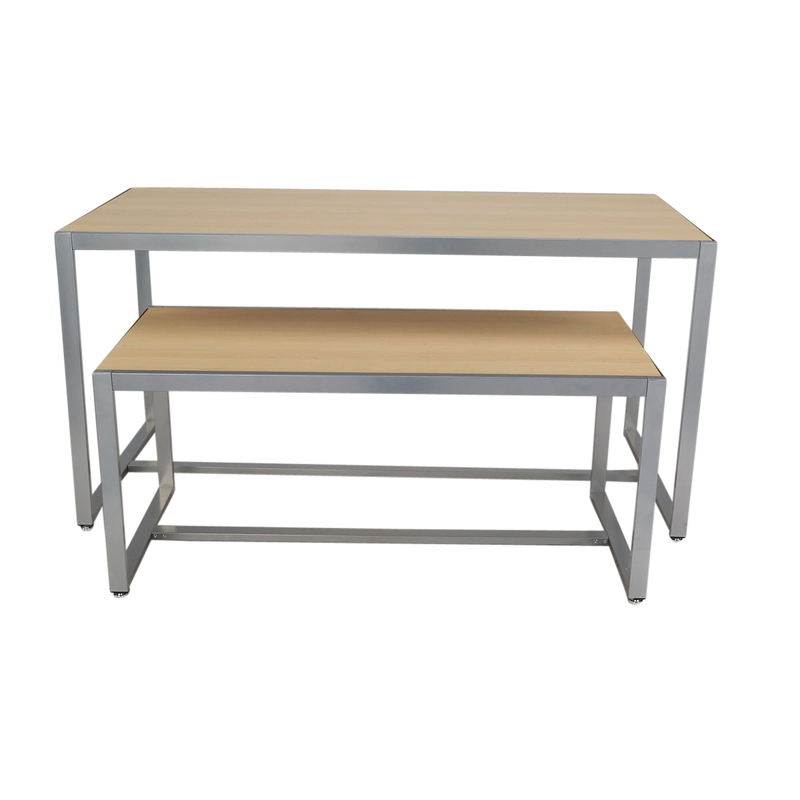 Show off your merchandise with these rich nesting tables. Tables are lightweight, yet sturdy and can easily be moved around your store. Maple wood is highlighted by a silver matte frame, creating a functional and attractive display area. Some assembly required.